Polemic. A Magazine of Philosophy, Psychology & Aesthetics. Edited by Humphrey Slater. No. 3. May 1946. Home / Shop / Books / Polemic. A Magazine of Philosophy, Psychology & Aesthetics. Edited by Humphrey Slater. No. 3. May 1946. 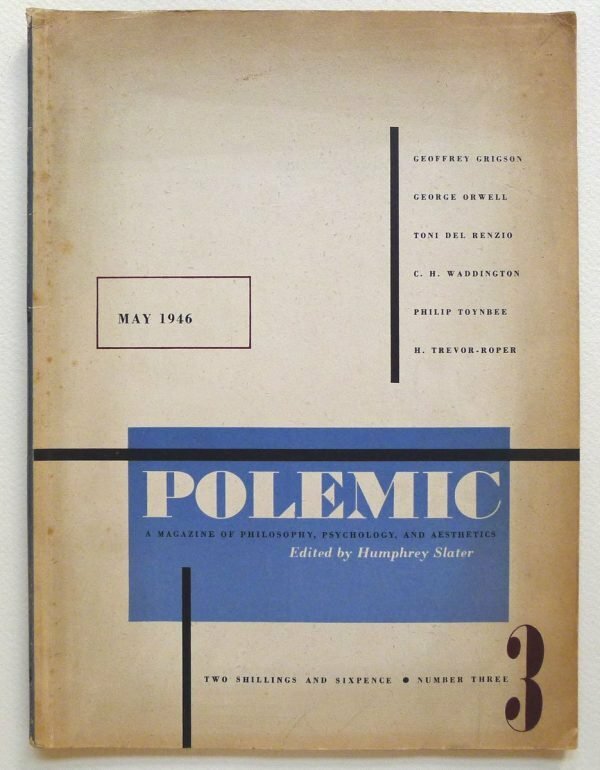 Polemic. A Magazine of Philosophy, Psychology & Aesthetics. Edited by Humphrey Slater. No. 3. May 1946. Original paper wrappers. 8vo. Design and layout by Toni Del Renzio. Esay by Orwell ‘Second thoughts on James Burnham’. Covers thumbed and a little dusty. Publisher: Rodney, Philips & Co.